Production is complete for the 2019 OSBA Membership Directory and the OSBA Board of Directors thanks all the breeders and businesses that participated. Applications are now being accepted for the OSBA's 2019 Don & Mary Ellen Ulry Scholarship. 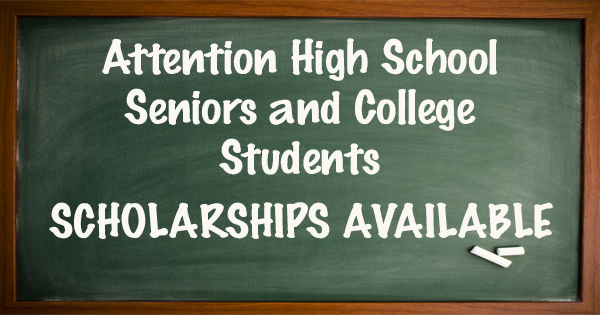 Two $500.00 scholarships will be awarded to high school seniors and/or college students. Congratulations to our juniors for their success at the 2018 National Junior Shorthorn Show. 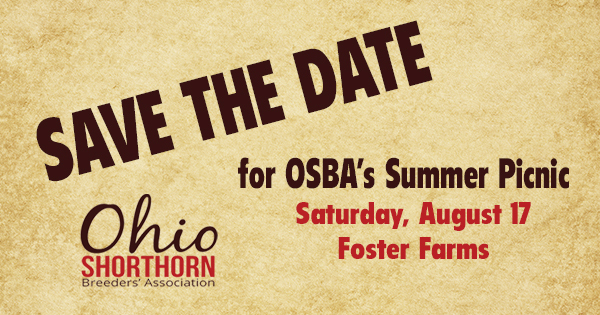 Foster Farms and Fairfield County Cattlemen's Association will be hosting the OSBA Summer Picnic at Foster Farms in Amanda, Ohio on Saturday, August 17. 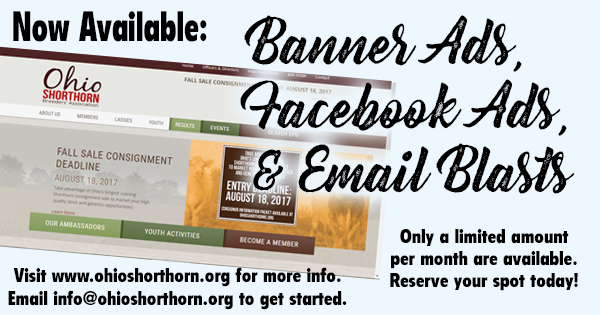 Banner ads are now being sold on the OSBA Homepage along with e-blasts and Facebook ads. Looking for a way to promote your genetics? 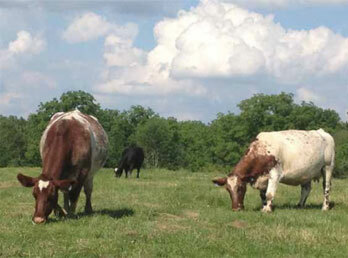 Let others know more about your herd by joining OSBA today! 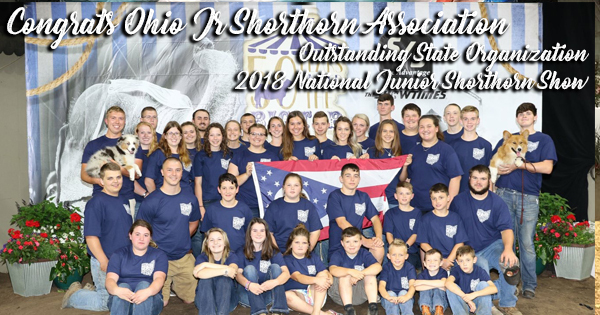 The Ohio Shorthorn Breeders' Association present the 2019 THE DON & MARY ELLEN URLY SCHOLARSHIP ..
Ohio Junior Shorthorn Preview Show May 18-19, 2019 Holmes County Fairgrounds Millersburg, .. The National Junior Shorthorn Show is June 17-22, 2019 in Lebanon, TN. James E. Ward A.. 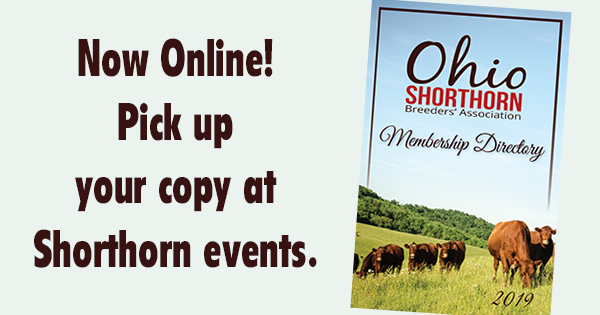 The Ohio Shorthorn Breeders' Association is now accepting memberships for 2019. Join us to promote your operation as well as the opportunity to participate in a variety of events throughout the year. Membership levels include: Regular, Lassie, Junior, Ambassador and Allied Industry. We have a membership opportunity for everyone! The only thing missing is you! Let us showcase your support as well. Click to learn more about this opportunity.